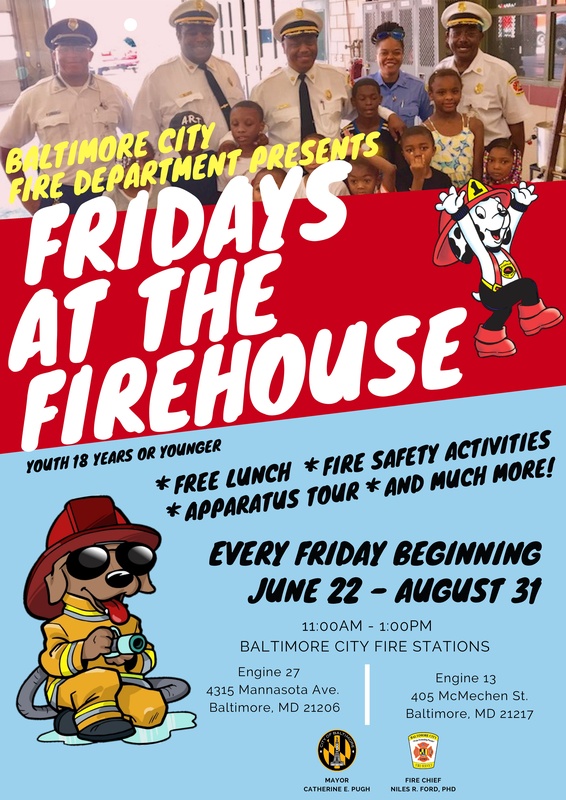 If you have a large group, please contact the Communications Office at 410-396-5616 to schedule your visit to Fridays At The Firehouse. This can be an engaging day-visit for summer camps, daycare facilities, etc...and an opportunity you don't want to miss! !